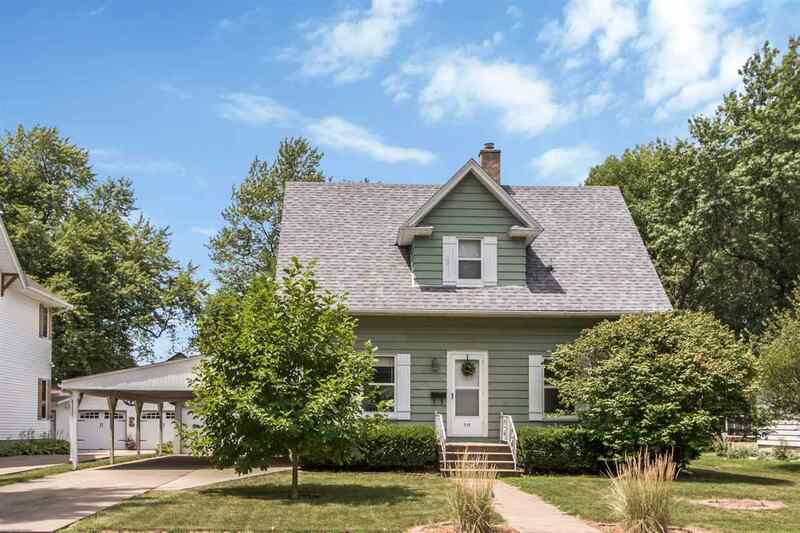 Adorable home with lots of character located within walking distance to schools, medical facilities and Downtown. Freshly painted interior with handsome hardwood floors, built in bookcases, an open staircase show off this homes charm which is combined with new tiled floors in the kitchen and dining area, updated bath, bright kitchen with all appliances, great basement space for a family room & rec room and good sized 2nd level bedrooms. Newer roof, large back yard with brick patio and covered drive!